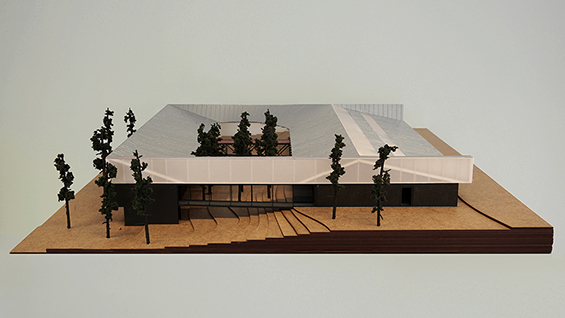 Studio Vatn has worked on a range of projects, including film production studios, a viewing platform in the North of Norway, a museum expansion, housing master plans and exhibition design. The studio also conducts artistic research on early 20th century architecture, investigating spaces of production, social concerns, and questions of authorship. These projects have resulted in speculative models, publications, and exhibitions, such as the project In Hannes Meyers Pocket’s, which was presented at the 2014 Venice Biennale. Espen Vatn, AR '10 is principal at Studio Vatn and in this talk will present a series of projects, both real and speculative, that deal with geometry, structure, and standards. Through the articulation of basic geometries and structure the studio seeks to develop a methodology in each project that allows for the development of an architectural language based on both systems and intuition. Vatn is currently Associate Professor at Oslo School of Architecture and Design. He has taught at Hong Kong University, Universidad de Navarra, Monash University, and was recently the Herbert H. Greenwald Visiting Critic at University of Illinois at Chicago. He studied architecture at The Cooper Union. This lecture is open to current Cooper Union students, faculty, and staff. Room 315F.